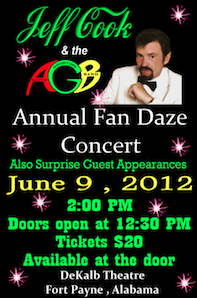 — For Tickets, please call the Alabama Fan Club Wed-Sat from 9AM to 5PM at 256-845-1646 or 256-845-6004. — Randy Owen Fan Club members only. — Memberships will be sold at the door. — A current Randy Owen fan club member list will be at the door.